Automata is pleased to host SOUTHLAND ENSEMBLE in a full season of five programs, to be presented between October 2017 and June 2018. You can purchase tickets to Program 4 (MUSIC of RUTH CRAWFORD SEEGER here. Formed in 2013, Southland Ensemble is a contemporary chamber ensemble dedicated to the interpretation and performance of experimental music. The ensemble consists of eight core members and often collaborates with guests as the music requires. Each member of the ensemble is proficient on a least one or more traditional Western instruments, as well as spoken word and found objects - stones, radios, sheet metal, and household items to name a few. 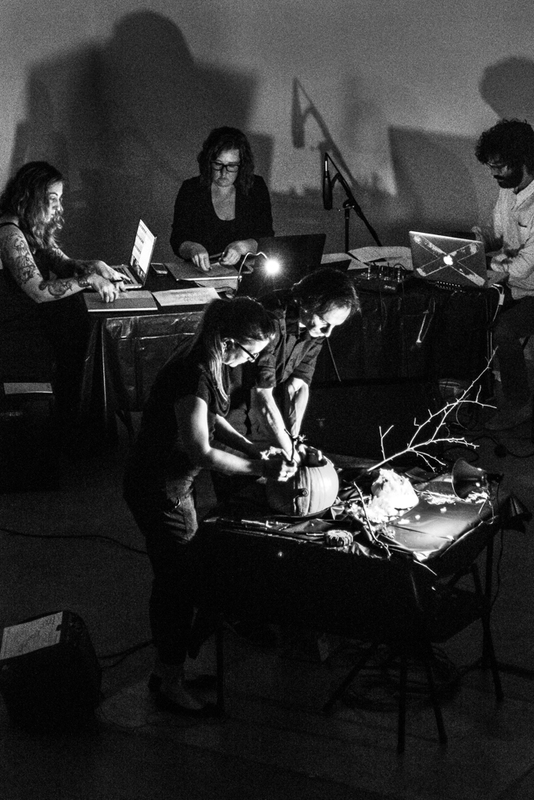 It is the mission of Southland Ensemble to present experimental music to a wide variety of audiences through the mediums of interactive concerts, lectures and workshops. The ensemble believes strongly in the power of creative programming to educate and enhance the audience’s understanding of an historical or artistic period. Each concert is carefully programmed to reflect a specific creative period in a location or composer's career. Since its formation, the ensemble has presented works by Christian Wolff, Alvin Lucier, Pauline Oliveros, Robert Ashley, James Tenney, Alison Knowles, Anthony Braxton and Laurence Crane, among others.